Dear Competitors, Instructors & Masters of Traditional Taekwon-Do. I hope this message finds you doing very well. I personally would like to invite you and your team to join us for this World Event of Traditional Taekwon-Do. There are still hotel rooms available, further information can be obtained by going to www.WorldTKD2015.com. Team - 3 Point Sparring. Team - 5 National Team Synchronized Patterns. All official letters, hotel booking, transfer info can be obtained by contacting info@roanaservizi.it Special room rates of 65 Euros include three (3) meals per day. Official registration and weigh-in will take place in Roana, Italy at · International Black Belt Promotional Exam- Must be pre-registered and approved. All colored belts compete in Patterns and Point Sparring. All Black Belt patterns Competition. Optional touring package to the mountains of Italy, Verona, Venice and a beautiful beach resort. Thank you for your interest in participating in this prestigious World Championship event that is specifically for the World Traditional Taekwon-Do Families. 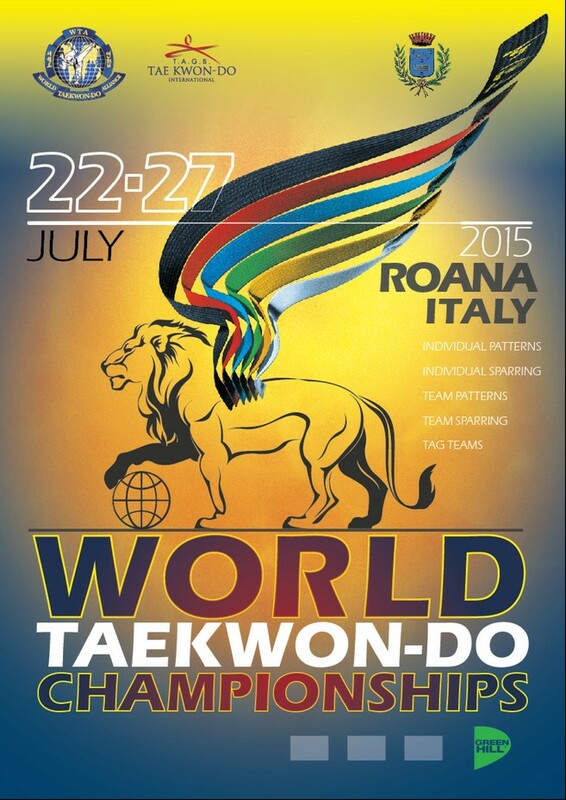 Please click the link for the divisions, rules and schedule of events planned for the WTA 2015 World Taekwon-Do Championships next July 25-27 in Roana, Italy.